the Roman church just as prophesied by Daniel the prophet. who fits this prophecy other than Roman Vatican church. Why were the 10 Commandments changed by the Roman Catholic church? In order to answer that we can simply look at what was changed. BTW, This "virgin Mary" the church continually bows down to, after the birth of our savior was no longer a "virgin." Her and her husband went on to have other children. The book of Mark 6:3 and the book of Matthew 13:55-57, both are alluded to as evidence that James, Joseph (Joses), Judas, and Simon were the sons of Mary and of Joseph and that their were at least two sisters also. Another verse in the Epistle, Galatians 1:19, which says that James, "the Lord's brother", was the head of the congregation in Jerusalem, is taken to mean that James was the son of Mary and Joseph. If we accept the above verses of the Bible, it is impossible to think that Yahushua was an only child, as this would plainly contradict the Bible. So why is the Catholic church calling Mary the "Virgin Mary?" This suggest that as husband and wife, they eventually shared intimate relations. You decide, was Mary a "Virgin" to the end"
Revelation 18:4, Come out of her, my people, that ye be not partakers of her sins, and that ye receive not of her plagues. Do you remember this quote of the Catholic church? 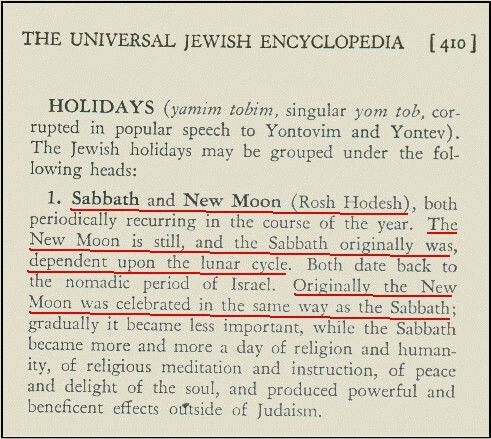 Actually, it was never the "Jewish Sabbath," It has always been our Creators Sabbath. The Jews at one time did keep our Creators Sabbath. Today, most do not. Another non-Biblical institution of the Roman Catholic church. Mark 7:7-8, Howbeit in vain do they worship me, teaching for doctrines the commandments of men. 8 For laying aside the commandment of God, ye hold the tradition of men, as the washing of pots and cups: and many other such like things ye do. Please take a moment to review this fact of the Roman Catholic church. the Roman Catholic church, and that of the Christian church. Where in the Bible does it tell us to do so? Then Why do they keep this day Rome calls "Sunday?" ONLY Because The Roman Catholic Church Tells Them To. There are No instructions here whatsoever to attend church on a "The Lord's day." forefathers and Bible scholars today call Rome the "Beast Power" of Daniel and Revelation? Because the Roman Catholic church is telling them to. Just as they changed the times of our Creator, they changed the 10 Commandments for the same reason. That reason is this . . To take worship From the creator of the heavens and the earth so that they might exalt themselves above as God. Simply by looking at what was changed, and what was not changed gives us an understanding as to why the 10 Commandments were changed by the Roman Catholic Church. We see the second commandment was completely removed, this was the commandment that forbids idol worship. The reason the second commandment was removed was because the church desires to worship idols, it is this practice that takes our eyes off the Savior, the only one who is capable of forgiving us of our sins. The Bible tells us that we must call upon the name of Yahuha to be saved, we find this truth and at least three places in the Bible, Acts 2:21, Joel 2:32, Romans 10:13, so if the Catholic Church is aware of this, and we know they are because they claim to be the church leaders of the world, why is it that they would take away, or try to hide the fact that we need to call upon the one and only savior of this world to be saved. Yet they turn us away from that opportunity of salvation only to get its parishioners caught up in praying to rocks and stones, with the Bible calls graven images. 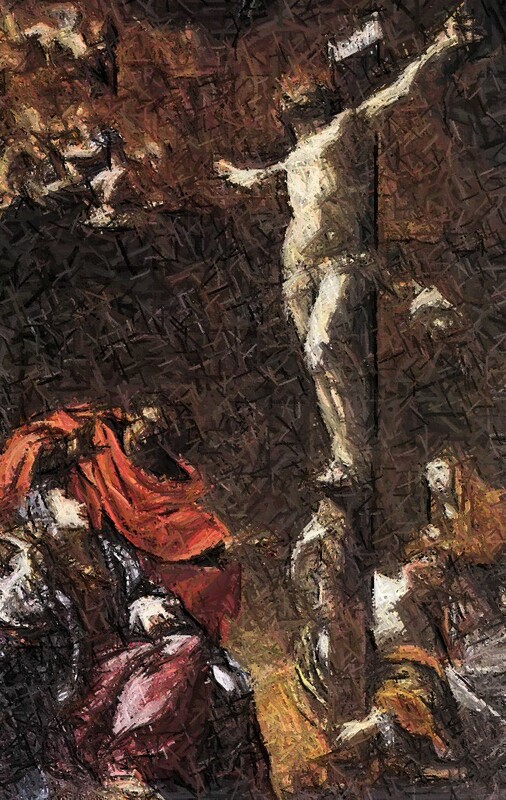 It is this action by the Catholic church, taking man's eyes and mind off the cross that will cause man to stumble and be drawn away from the only true source of salvation. 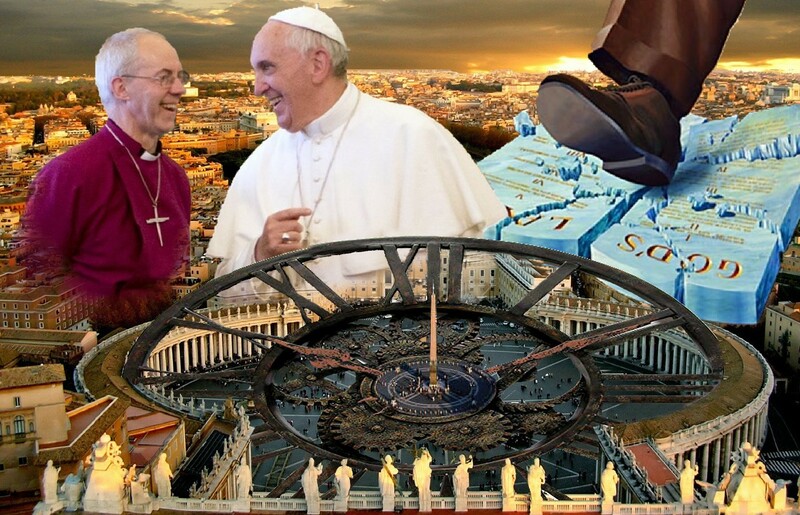 Is this a deliberate act of the Roman church so that mankind might lose his soul? That every soul on the face of this earth would perish without coming to the knowledge of salvation. Now you might say that's a very radical or drastic thing to say but please remember this website is not against the dear people of the Roman Catholic Church, neither is it against the leaders of the church, but just as Satan spoke through the serpents in the garden and tempted Eve into sin, so also today Satan is still alive and working toward those same goals through the voice of the Roman Catholic Church. This page is designed to bring the body of the Roman Catholic church to the knowledge of salvation of the only one who is capable of saving us from our sins and that is Yahushua. 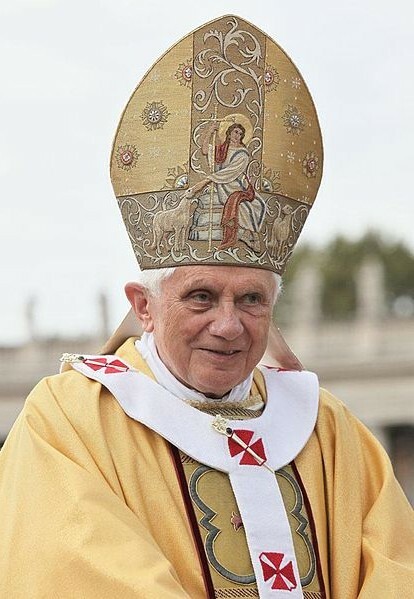 There is not a Pope alive on the face of this earth today nor has there ever been a Pope who is been capable of forgiving the world of it sins. Matthew 6:14-15, For if you forgive others their trespasses, your heavenly Father will also forgive you, but if you do not forgive others their trespasses, neither will your Father forgive your trespasses. Yes, we are instructed to forgive one another . . But has the Pope been given the right to forgive sins? Not according to the Bible. I understand he claims to be God on this earth, but the Bible tells us he is not. Mark 2:6, Now some teachers of the law were sitting there, thinking to themselves, Why does this fellow talk like that? He’s blaspheming! Who can forgive sins but God alone? Penance is a sacrament of the New Law instituted by Christ in which forgiveness of sins committed after baptism is granted through the priest's absolution to those who with true sorrow confess their sins and promise to satisfy for the same. It is called a "sacrament"
It was the fear for the loss of the soul that Penance, after confessions that brought in huge volumes of income to the Roman Catholic church for so many years. Isaiah 42:8, I am the Lord: that is my name: and my glory will I not give to another, neither my praise to graven images. It is the forth commandment that gives us our "seventh-day Sabbaths"
Although we will never see the original seventh day Sabbaths of creation restored here on this earth, you can rest in peace that when our Creator re-creates this earth, after all sin has been eliminated, He has promised us He will restore all things back to what they originally were. No other entity has even attempted to make these changes as recorded in the Bible. 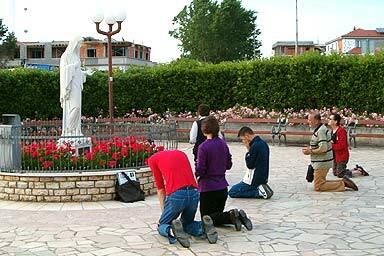 This is indeed the works of the Roman Catholic Church. They proudly display their changes here. 1 John 3:4, Whosoever committeth sin transgresseth also the law: for sin is the transgression of the law. Mark 7:7-9, Howbeit in vain do they worship me, teaching for doctrines the commandments of men. For laying aside the commandment of God, ye hold the tradition of men And he said unto them, Full well ye reject the commandment of God, that ye may keep your own tradition. 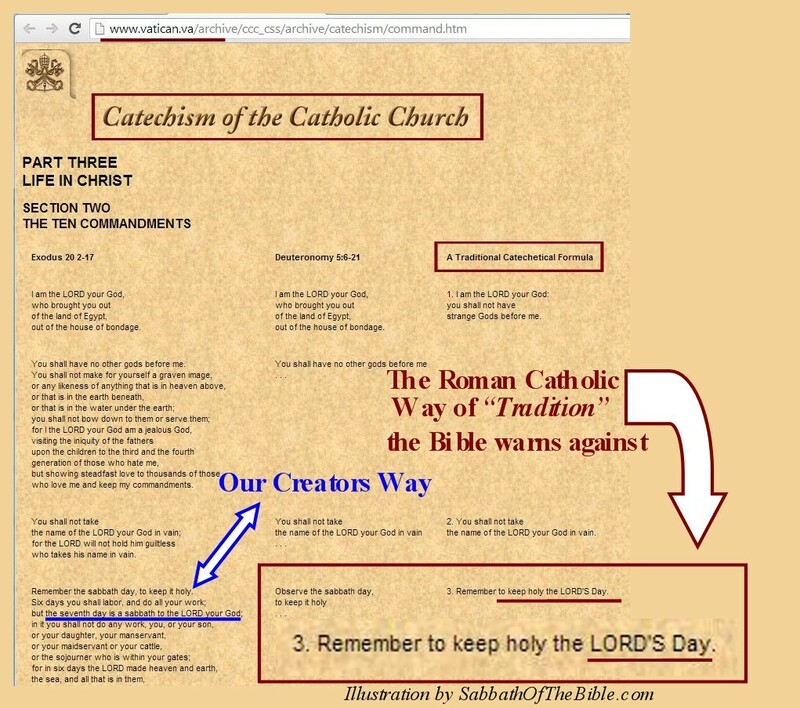 The counterfeit ""Traditional Catechetical Formula""
Please notice the first four commandments are of a vertical relationship with our Creator. The last six are of a horizontal relationship with mankind. was completely removed by the Roman Catholic Church, Leaving nine. The church then split the 10th to get them back to ten commandments.